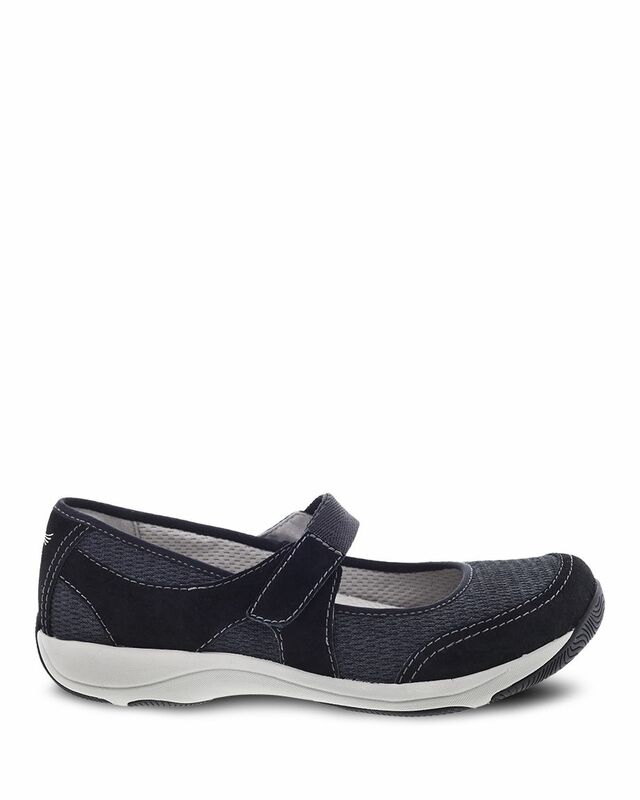 The Hennie offers the comfort of an athleisure shoe with the ease and style of a Mary Jane. Hennie features an adjustable hook-and-loop strap, stain-protected leather uppers, soft textile linings for all-day comfort, a removable, contoured PU footbed with memory foam and built-in arch support for all-day comfort, and a rubber outsole for long-lasting wear. Hits all the comfort marks. Bought this shoe to take on a trip to Italy, hoping to wear it with pants and skirts. It is EXTREMELY well cushioned and will be perfect! I Need a padded sole and room in the toe box and the Hennie has both. The heel is a little loose on me, but that is almost always the case and the strap keeps the shoe secure enough to offset that.